Opening a bottle of Pristine Vodka is unlocking the pure taste of nature. From the fertile fields of Ukraine, the mountain springs of the high Carpathian peaks, and in to your glass, this premium vodka brings the simplicity and taintless wonder of nature to your reach. Our premium vodka is lovingly crafted in Ukraine. The cleanest crystalline waters, the abundant, high quality wheat, grown in naturally fortified soil, and over four decades of advanced distillation experience all combine to bring you the perfect sip. The combination of smooth texture and refreshing taste is what sets Pristine apart in purity. When trying Pristine the craftsmanship is evident: the combination of the finest, all-natural ingredients and unique distillation make for a stellar vodka, and its price point makes it the best value for a top-shelf spirit. 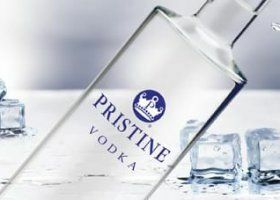 Pristine Vodka is an award winning premium spirit. In its time on the market, Pristine has gained the respect and admiration of those who appreciate premium quality, taste and an incredible value. As the old adage goes, “if you want something done right, do it yourself.” Alexander Bratslavsky, as both founder and importer of Pristine, has passionately worked to deliver premium vodka of high quality from his homeland to the consumers of the United States. In 1989, Alex left Ukraine to share a piece of the American dream with his family. While he was able to realize his dream of making a living and raising a family in the United States, he was disappointed in the overpriced and lackluster premium vodkas available in the US market. Through extensive research, he learned that he was not alone, and many other consumers were also looking for something new in the world of vodka–a high-quality vodka with exceptional value and great taste; a vodka with the look, feel, and flavor of a top-shelf vodka, without the top-shelf price tag to go along with it. Alex longed to share his love of his homeland and of the best vodka in the world – Ukrainian vodka – vodka lovers everywhere. As soon as he was able, he set off to do just that. Through hard work, Alex was able to realize his true calling. He began importing vodka himself, learning everything he could about crafting vodka in the meantime. He was able to take his experience in the industry and combine it with firsthand knowledge of the fertile lands and unparalleled purity of the waters in Ukraine. The name “Pristine” reflects more than just the taste and texture of this premium vodka. It also reflects the dedication, passion, and exacting standards Alex and his team bring to the craft of Pristine Vodka. Under Alex’s supervision, his unique team brings the fruits of their labor to you in the form of crystal clear, refreshing, perfectly natural Pristine Vodka. His hard work and perseverance have brought success and recognition from the United States Small Business Administration for outstanding entrepreneurship. Alex was the proud recipient for the Award for Excellence in 2004. 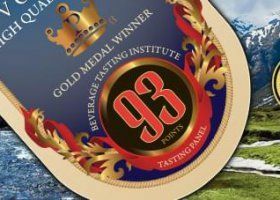 Pristine itself has received many accolades for its quality and value, including a smashing 93 point score from the esteemed Beverage Tasting Institute. You can read the rave reviews for yourself by visiting our Vodka Ratings page or our Testimonials page. 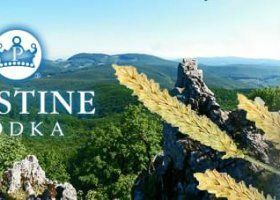 Pristine is an up-and-coming and quickly growing premium vodka brand available in a number of restaurants, bars, and liquor stores throughout upstate New York. With its fresh, smooth flavor and boasting an incredible value over other premium vodka brands, Pristine is bound to shine, any way you imbibe it! Whether it pulls together the ingredients of your favorite cocktail, dances around the ice in a rocks glass, or gives a kick to a delicious vodka cream sauce, you’re going to LOVE it. The best way to acquaint yourself with the superior quality of Pristine Vodka is to try it for yourself. We recommend getting to know Pristine with Alex’s favorite “vodka cocktail and mixed drinks with vodka“: Pristine in a rocks glass, over ice. 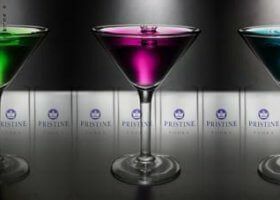 Sip, enjoy, and awaken your taste buds with Pristine Vodka!